Megavitamin Therapy – What is it and who could it help? Megavitamin Therapy, sometimes known as orthomolecular therapy, is the use of very high levels of vitamins to treat a range of health complaints. The levels prescribed greatly exceed the recommended dietary allowance and therefore Megavitamin Therapy should only be used under the supervision of a qualified practitioner. Proponents of Megavitamin Therapy are of the view that a prolonged and severe deficiency in certain vitamins can lead to, and/or exacerbate, disease. They propose that these diseases can be treated fully or partly through the administration of high doses of the deficient vitamins. What leads to vitamin deficiency? A well-balanced diet should provide the body with all the vitamins and nutrients it needs to grow, function, maintain and repair itself. However as we all know, well-balanced diets often fall victim to our time-poor lifestyles – and occasional lack of will power. In addition a small percentage of the population has difficulty absorbing vitamins from the food they eat. Some people have a defect in certain enzymes that break-down vitamins and nutrients in food. Dietary restrictions as a result of allergies or intolerances may also lead to vitamin deficiencies. Research suggests that as the body ages, the ability to absorb nutrients and vitamins from food diminishes. And we know that pregnant women need considerably more iron to support the baby’s growing placenta, as well as their own body. These people may be deficient in certain kinds of vitamins, and if that deficiency is prolonged, it may lead to ill health. For these people, vitamin supplements may have some benefit. Can megavitamins help treat disease? Vitamin supplementation has well-established benefits for a range of health complaints. For example anaemia is a well-known condition that results from a prolonged lack of iron. A lack of Vitamin D, overtime, can lead to softening of the bones, a condition called osteomalacia. Uncontrolled bleeding and cartilage calcification are signs of Vitamin K deficiency. People suffering these conditions all experience improvements in their health when they take the appropriate vitamin supplements as prescribed by their doctor. 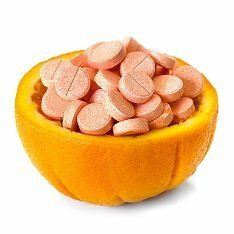 However before you run to the health food aisle of your supermarket to stock up on vitamins – a word of warning: while most vitamins are beneficial to most people when taken at low levels, they can become extremely toxic when taken at high levels or in conjunction with other medications. Therefore Megavitamin Therapy should only be used under the strict supervision of a highly qualified healthcare practitioner. To find an integrative doctor in your local area who can provide more information on Megavitamin Therapy visit our Find a Doctor page.